An incredibly powerful machine, crammed with features at a budget price. 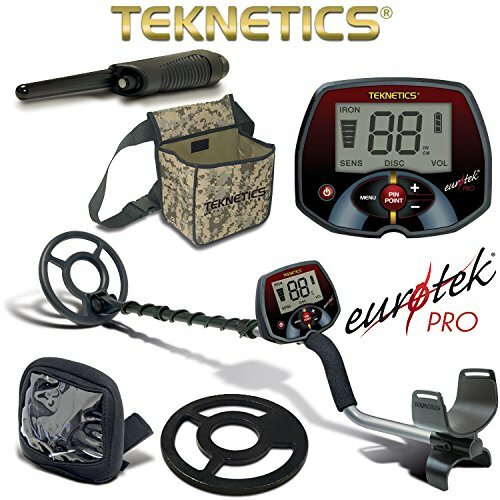 I’ve decided to write the Teknetics EuroTek Pro review because I believe people need to hear more about this amazing beginners metal detector. Lately, all I have seen and heard the Eurotek Pro recommended numerous times. So naturally, I wanted to know what all the fuss is about. Teknetics are part of the Fisher Labs group, they are the sister company of Fisher and Bounty Hunter. It’s a “budget” machine but from what I have found it has more than budget features. Equaling the power and performance of metal detectors twice and three times the cost. The amount you get for the price you pay is literally unheard of. I’m impressed. Let’s see why! Upon opening the box you will be presented with 6 pieces, it pains me to start off on a negative, but I like to be honest. You’re going to need a Philips screwdriver, this is rare for the assembly of a metal detector and considering they have put so much into it I would have thought they wouldn’t have overlooked this small annoyance. Anyhow, it’s still simple to assemble, I’m just being picky. The pieces are as follows, armrest, control box, search coil, s-rod, lower stem, upper stem and some screws. Once it’s all put together, The Teknetics EuroTek Pro is attractive and by no means looks as cheap as it is. There are also the much-welcomed camlocks that click into place on the detector stem for added stability and strength. Behind the Control Panel is the battery compartment you simply slip the back off and insert 1, Yes 1, 9-volt battery. To hold it’s more than comfortable with the armrest and padding and feels very secure and sturdy. You’re not going to need muscles like Arnie either to swing her around all day either as the Eurotek Pro weighs in at just 1.1kg and that’s including the standard 11″ DD search coil. There’s sponge padding on the grip and the control panel is perfectly placed to operate without any kind of strain or stretching your thumb. You can adjust the height easily from 95cm at it’s shortest to 128 cm. Keeping the beginner in mind when they designed and manufactured the Teknetics Eurotek Pro they’ve kept the buttons and displays as basic as possible making the detector very easy to understand and operate. As you can see from the picture you have a large LCD screen. The LCD screen displays battery level indicator, the target ID number, Volume, A depth estimate indicator, sensitivity and discrimination levels. All in a very large easy to read manner. The buttons have been kept to a bare minimum as well. Power on, Menu, Pin-Point and navigate up and down buttons. Now for the fun part! The EuroTek Pro simply excels in features. 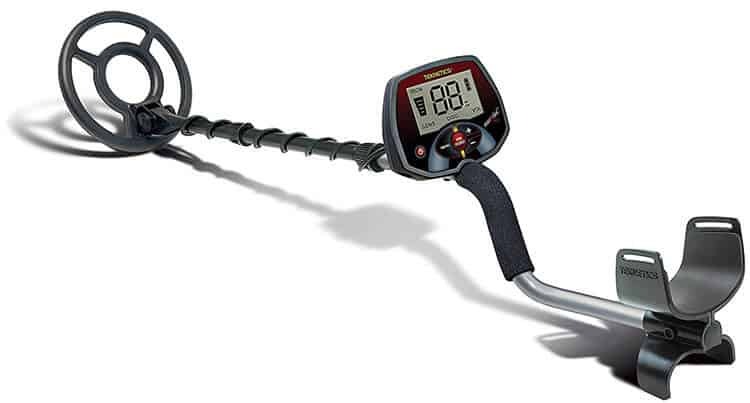 In comparison to other metal detectors in the price range, it blows them out of the water. It offers so many features, so let’s take a look at a few. V-Break, Variable Breakpoint is the industries first variable breakpoint tone discrimination system. FEtone, adjustable iron audio allows you to adjust the volume of iron targets separately from non-ferrous targets. Giving you a much more detailed audio response and indication. Iron Identifier LED which lights up on the LCD screen when you detect iron. Even when you have iron discriminated the LED lights up. Pinpoint allowing you at the press of one button to put the Eurotek Pro into the pinpoint mode to accurately locate your target within the hole. 3 Tone Audio Identification Giving 3 clear separate different tones to ID the target. It doesn’t stop there…here’s some more. Adjustable sensitivity from 1 – 10 allowing you to fine-tune according to the ground conditions and interference. Save your customised settings even after turning off the detector. Last but not least a very long 5-year warranty. I feel like I have missed some features and I probably have but you get the idea. It’s cram packed with features and for the current price you would be crazy to pass up on this metal detector. The Teknetics EuroTek Pro runs at a frequency of 7.81khz. Battery life is fair not the best I have ever seen you’ll get approximately 20 – 25 hours use from 1 x 9 Volt battery, that being said it’s rare for a detector to only use 1 9v battery. How deep will the EuroTek Pro go? This question gets asked all the time the first thing you need to know the depth capabilities highly depend on the ground you’re detecting on. On a good day and good ground, the Eurotek Pro Metal Detector will detect a coin-sized object to a depth of approximately 10 – 14 inches at maximum sensitivity. Large metal targets were picked up much deeper than this with ease. Amazing value for money, probably the best value on the market. Very simple to use for a beginner but powerful for a more seasoned detectorist. Designed with the European ground in mind. Need a screwdriver to assemble. Not so keen on the overload feature stops the detector when close to the highly magnetised soil. No adjustable ground balance. It’s preset. To summarize I was actually blown away by the EuroTek Pro. It’s a highly underrated machine that deserves a lot more commendation than it receives. If you’ve got a small budget then this should be one of your top choices for a metal detector. I went out after hearing so much about this metal detector and purchased one from Amazon. I originally thought i’d review it and test it then sell it on for a small loss. That soon changed. I can’t let go of it now. The depth capabilities and the recovery speed were incredible, I took her out on 2 test runs, one in a location with a lot of junk and highly mineralised ground and one to a field I’ve been to numerous times before. The EuroTek Pro locates targets deep and with a ridiculous amount of accuracy. It excelled in the highly mineralised soils and easily determined between ferrous and non-ferrous. The discrimination is fantastic. The numeric ID is out of this world for a detector in this price range. Perfect for the beginner, but good enough for someone with more experience. I will not be selling mine on and I will definitely be keeping the EuroTek Pro as my number 1 backup machine. I’m so surprised that this detector is not the number one selling machine in its price range. In comparison to the Ace 250, EuroAce, Minelab X-Terra 505 it performed much better. Would I recommend the EuroTek Pro? Hell yes, I would. It’s truly a hidden gem. 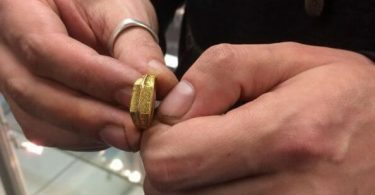 You’ll pretty much pay for the machine after a few months with your finds! Please note these settings are my preference, the ground you are searching on will have a huge impact on what your settings should be. I have listed the following settings as a general guideline. Sensitivity set to 9, zero discrimination (unless you’re in a really trashy area then 38 discrimination) keep your swing low and relatively slow. Once you hit a high tone good signal, cross swing the EuroTek Pro over it the opposite way and check for the same two-way high tone signal. If it’s there dig it!